Yo u’ve probably heard about air fryers before. Perhaps you saw one of them being advertised in a commercial or maybe one of your friends has one and can’t stop talking about it. Just how healthy is cooking with air fryers? For the modern, health-conscious consumer, it’s a question that begs to be answered before they even think about handing over their hard earned cash. 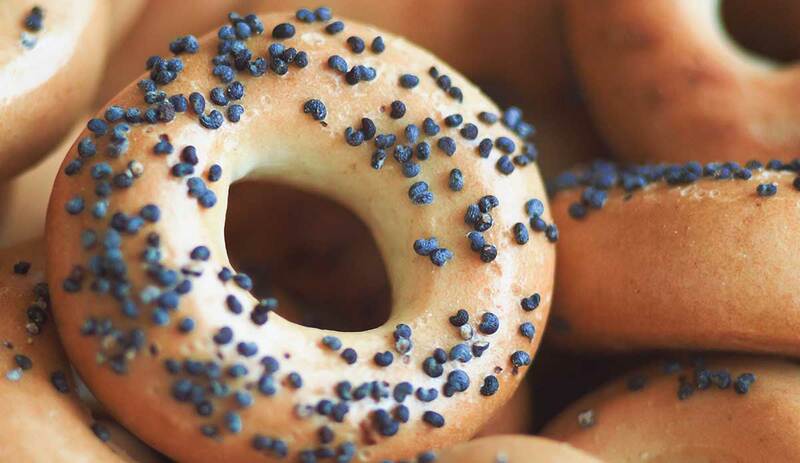 There are three ingredients that are irresistible to humans – sugar, salt and fat. It is the ratios and combinations of these ingredients in food that makes them so irresistible. Unless you’ve been living under a rock, you most definitely have consumed foods with these perfect combinations. Think of doughnuts, chips and cake. The list is endless. We all know consuming too much salt, sugar or fat can be devastating to our health over the long run. They cause obesity, diabetes and can trigger the early onset of numerous diseases….you get the picture. It’s no surprise there has been a huge industry shift in the last couple of decades to combat and profit off this health crisis by providing products that make food healthier whilst retaining the great taste that we’ve all come to love. In comes the magical air fryer which aims at reducing one of the 3 killer ingredients – fat – by reducing the amount of oil used in frying food. The biggest proponent of the air fryer is the Dutch based company Phillips. They introduced the first ever air fryer – the Phillips Air Fryer – which claims an 80% reduction in fat compared to a conventional Phillips fryer (AKA a conventional deep oil fryer). You see, an air fryer will require you to use no more than a tablespoon of oil. In fact, many recipes require no oil, leading to what is known as ‘oil-less frying’. How is this possible? 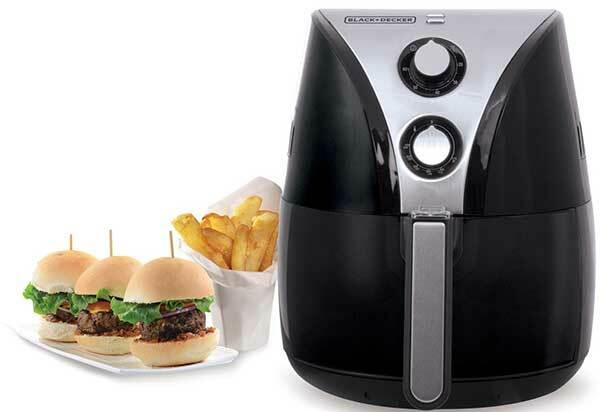 Well an air fryer circulates super-hot air to cook and crisp whatever food you are cooking. It uses the small amount of oil you’ve added as well as the natural oils in the food to do the job of a conventional deep oil fryer. In comparison, a deep oil fryer typically requires 1 – 3 liters (or 33 oz – 101 oz) of oil. It’s a huge difference and means that deep oil frying is the fattier option as is leads to more oil being soaked up by the food. Per 100 grams of chips, you get about 1 – 2 grams of fat using air frying, about 3 – 4 grams using the oven, and at least 8 grams when it comes to deep oil frying. So you see, air frying uses 50% – 80% (or more) less fat than other cooking methods! So we understand why air frying is the healthier option, but does it actually produce tasty results? But wait! Does air frying cause cancer? OK, I’m going to back up a bit here. There’s also a ton of talk on the internet about air frying causing cancer. This all comes from the concern over the chemical acrylamide. This chemical is released when certain starchy foods – like potato chips and bread – are cooked. It’s the reason why everyone always tells you to not eat that burnt toast! Studies in rodents have shown that acrylamide can cause and increase the risk of cancer. However; the risk in humans is still inconclusive. It’s pretty much a given that frying food will produce this chemical to some extent. The good news is, is that air frying can reduce the production of this chemical by up to 90% compared to conventional deep oil frying. Basically, if acrylamide is discovered to cause cancer in us humans, you’re still far better of using an air fryer than any other frying method. If on the other hand, you don’t want to take any risk at all, you’re better off never cooking any starchy foods again, whether that be frying, toasting, baking or grilling. But that’s a lot easier said than done. I’d imagine it would be more practical for the vast majority of us mortals to stick with not burning our food and implementing safer cooking methods, like air frying. A healthier option…but is it tasty? W ithout a doubt, French fries is the biggest culprit when it comes to our oily fried food fantasies. We simply can’t get enough of it with the average American eating over 4 pounds of potato chips each year. On the whole, potatoes make up a staggering 30% of an average Americans annual vegetable consumption. A lot of consumers who love the taste of deep-fried chips are turning to the air fryer as a healthier way to cook their favorite snack. However; before taking the final leap, one of their biggest concerns is that it just won’t be as tasty or even feel the same. Oil is responsible for the crispiness in our chips and chicken wings. The steam given off from boiling oil creates bubbles that gives food it’s crunchy and super palatable texture. Fat can also increase the intensity and duration of many flavors that we love. It’s why healthier foods with little fat can taste so bland at times! With these facts, it would be safe for us to assume that using less oil = less taste. But this isn’t always the case. The truth is, air frying can produce excellent tasting results if done correctly. If you’re cooking chips for example, using smaller cuts has proven to produce more crispier and ‘fry-like’ results. Think of the air fryer as a deep oil fryer that demands a bit more finesse to get similar results. For the most part though, you should be on the right track if you just follow the cookbooks that come with the majority of air fryers. Having said that, you can expect deep oil frying to achieve crunchier results because there is simply more oil to play around with. 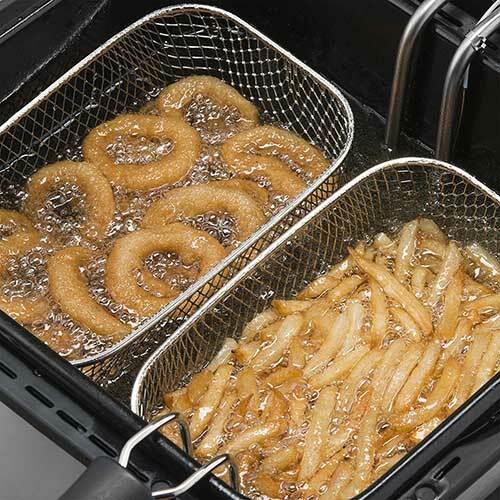 So air frying is healthy…and tasty! Clearly, air frying has the advantage of being a healthier way to fry food, and hey, the taste can be pretty good as well. But here’s the twist. A lot of the food that can be fried isn’t that healthy to begin with right? Nuggets, fries and chicken wings aren’t known for being packed with nutrition. Chances are, you are getting an air fryer because you are looking for a more guilt free way of cooking your favorite food. Compared to oven or deep-oil frying, it is the lesser of two (or should I say 3?) evils, but as the universal rule goes….as long as you use it in moderation. Follow this simple principle, and you’ll definitely be making a healthier lifestyle choice. You can get pretty decent air fryers from around $100 – $300, so please, please, please, do your research. There are so many out there that it would be a shame if you bought a dodgy model and it ruined the whole experience for you.